The black-bellied tern (Sterna acuticauda) belongs to the family of gulls and terns, the Laridae. The black-bellied tern species was distributed in India, Pakistan, Nepal, Bangladesh, Myanmar, Thailand, Cambodia, Laos and Vietnam. These tern species are now possibly extinct in Thailand, Cambodia, Laos and Vietnam. These terns are monotypic species. The black-bellied tern (Sterna acuticauda) is a small tern, measuring 30 to 35 cm in length. The breeding black-bellied tern has black cap and nape. The back and wings are gray. The wings are long and pointed. The throat is white. The pale gray breast shades into blackish belly and vent. The tail had long streamers. Non-breeding terns have a whitish belly and lack tail streamers. The orange bill has a blackish tip. The bill is long, pointed and orange-yellow in color. The irises are reddish brown. The legs and feet are yellow-orange in color. The call of the black-bellied tern is a soft, clear piping "peuo" or barking "nyark" sound. These black-bellied tern species were distributed in India, Pakistan, Nepal, Bangladesh, Myanmar, Thailand, Cambodia, Laos and Vietnam. Vagrant birds have been observed in southern China. In India, these tern species are distributed in all the states, except the arid regions of Rajasthan. They are now possibly extinct in Thailand, Cambodia, Laos and Vietnam. 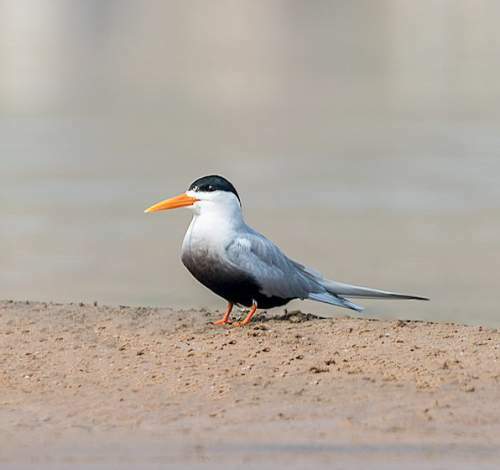 The Important Bird and Biodiversity Areas (IBA) of the black-bellied tern in Nepal are Sukla Phanta Wildlife Reserve, Koshi Tappu Wildlife Reserve, Jagdishpur Reservoir, Chitwan National Park, Bardia National Park and Barandabhar wetlands. These black-bellied tern species do not normally occur in forests. They normally occur in altitudes from 0 to 700 meters. 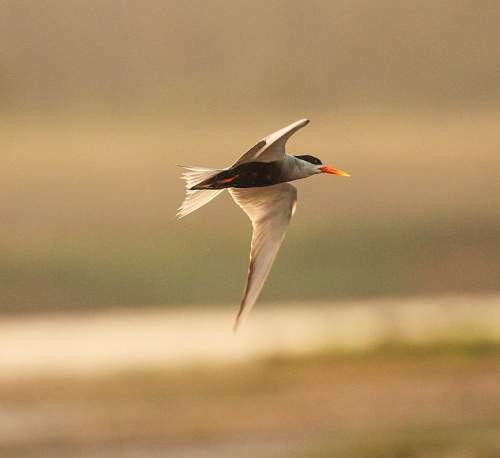 The natural ecosystems and habitats of these tern species include wetlands, freshwater lakes, rivers and streams. The diet of these black-bellied tern species consists mainly of invertebrates. Aquatic insects, terrestrial insects, crustaceans, tadpoles and fish are their primary food. These tern species plunge dive obliquely into the water to feed on crustaceans, tadpoles and fish. They skim over the surface of the water and land to pick insects. 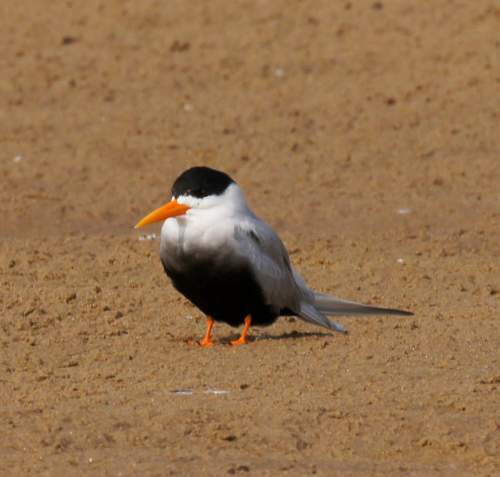 The breeding season of these black-bellied tern species is from February to May in most of their breeding range. These species are monogamous and territorial. The nesting sites include open, sandy spots near river or lake, sand spits and sandy riverine islands. They may nest with other birds such as river terns and pratincoles. These black-bellied tern species are non-migratory resident birds. The global population size of the black-bellied tern (Sterna acuticauda) is estimated to number about 6700 to 17000 mature individual birds. The overall population trend of the species is considered to be decreasing. In most of its range, this species is reported to be uncommon to rare. The generation length is 11 years. Its distribution size is about 4,490,000 sq.km. Habitat alteration, fragmentation and destruction, destruction of breeding habitats, human intrusions and disturbance, egg collecting and commercial hunting are the main threats that are endangering the survival of these tern species. The black-bellied tern (Sterna acuticauda) has approached the thresholds for being Vulnerable, under the range size criterion, under the population trend criterion and also under the population size criterion. The IUCN (International Union for Conservation of Nature) has categorized and evaluated the species and has listed it as "Endangered". The CITES (Convention on International Trade in Endangered Species of Wild Fauna and Flora) status is ‘Not Evaluated’ for the black-bellied tern (Sterna acuticauda). 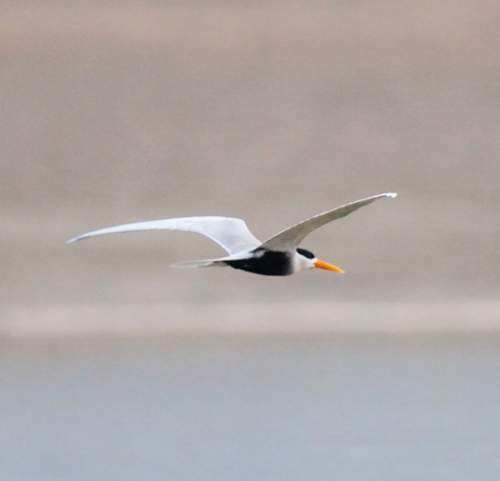 Current topic in : Black-bellied tern - Sterna acuticauda with photos.